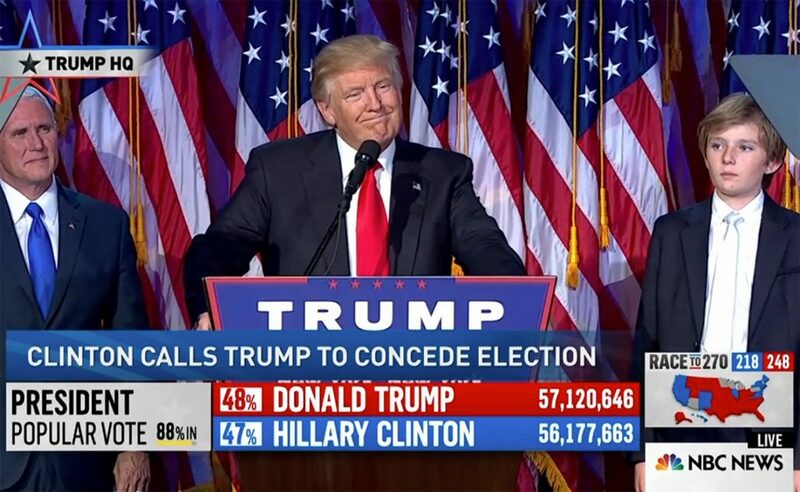 November 9, 2016 — In a late-night stunner, Donald Trump defies the polls and wins the 2016 presidential election. 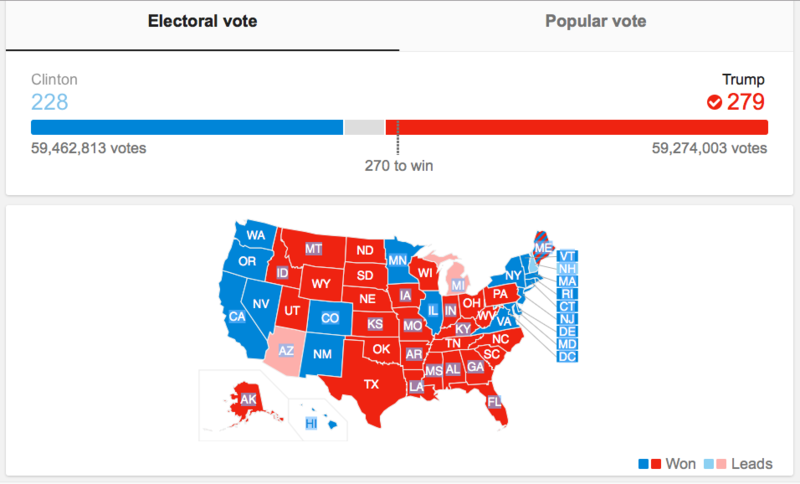 Despite losing the popular vote to challenger Hillary Clinton, Trump wins in key battleground states in order to eek out a win in the Electoral College. Republicans hold onto the Senate and House of Representatives, making it likely that Republicans will control all three branches of government once Trump’s Supreme Court nominee(s) are in place. The immediate future for progressive causes hangs in the balance. UCLA alumna and columnist Erin Aubry Kaplan reflects on what it all means to an “angry black voter” HERE.